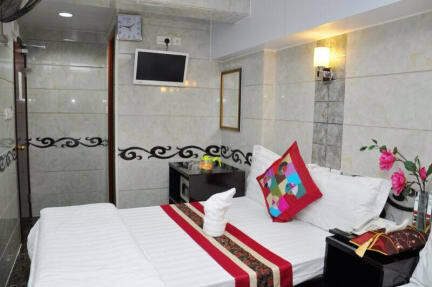 Offering hotel guests superior services and a broad range of amenities, Pearl Guest House is committed to ensuring that your stay is as comfortable as possible. For the comfort and convenience of guests, the hotel offers elevator, family room, safety deposit boxes, laundry service/dry cleaning, Wi-Fi in public areas. In addition, all guestrooms feature a variety of comforts such as non smoking rooms, shower, television, air conditioning, internet access – wireless (complimentary) to please even the most discerning guest. Besides, the hotel\'s host of recreational offerings ensures you have plenty to do during your stay. Pearl Guest House is a smart choice for travelers to Hong Kong, offering a relaxed and hassle-free stay every time. Great value for your money! Clean room, towels, toiletries, hot shower, fridge, TV + (outside of the room) microwave and hot+cold drinking water. Ok, the rooms are tiny but so what? Also the location is great. It’s only a few minutes walk to the Tsim Sha Tsui MTR Station, ATM and there are Restaurants and Shops everywhere. Only minus is that the walls are really thin. You hear everything from your neighbor rooms but no street noise. I highly recommend and will definitely visit again. Lovely staff and excellently located hotel. Simple room with good facilities. 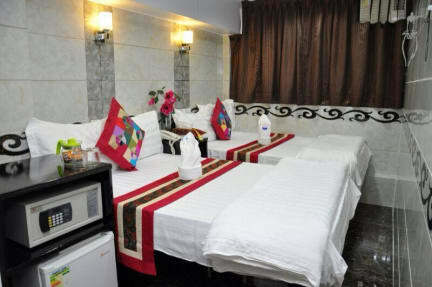 This guest house is good in terms of price and quality. The rooms are clean and the space is adequate considering it's in Hong Kong (apartments are small). It's located really close to the TST subway, making it easy to move around HK without much of a hassle. The guest house's building is somewhat old and there is only one elevator for odd and one for even floors (one might need to wait a while for catching an elevator). All in all, it's a decent place to stay for a couple of days. The building was unimpressive and Reception was a bit confusing to find but once we did and gained access to our rooms we were pleastenly surprised with the rooms. Only stayed for a quick night as a lay over and it was more than enough. + Good location, close to MTR + Clean and comfortable bed + Reasonable price on weekdays (excessive at weekend) - Drinking water fountain regularly empty - Confusing to find. There are multiple Pearl Guesthouses in the same building. Reception is actually on floor 16. - Bathroom is ludicrously tiny. You’ll have to hold the shower head while showering as the water shoots straight into the oppsosite wall rather than downwards, and you can’t reposition it. The room was clean and located very close to the subway, bus, and waterfront. The building itselve was a bit questionable. It was hard to find when we first arrived and there was no atmosphere. For a place to stay after a long flight it did the trick. This place is actually called Premium Pearl Guesthouse. The office is on the 16th floor. To find the entrance, its underneath the building between all the stores. It's difficult to find anything in the building itself. There are apartments and other guesthouse in the building. The building itself is not nice. The rooms are nice and secure. The beds are comfortable and there was plenty of hot water for showering. The rooms are small, but this is common in Hong Kong. Bedding was clean and nice, the bathroom was swarming with fruitflies though and the toilet wouldn't flush.